The cameras are handed to the guests to capture the moments from their angle and point of view. We charge on the number of cameras ordered by the couple. 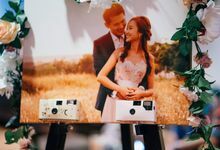 Depending on the quantity of the order, the soft copies will usually be ready within two weeks from the wedding event together with the customised thumbdrive with call the softcopies. The most ideal time for the client to contact would be at least 3 weeks in advance of the actual event. 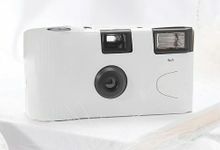 Our cameras are of high quality and directly imported from Canada. While the official photographers are focusing on you from their angle, the cameras provide the guests with the opportunities to be your many unofficial photographers. They can cover your event from many different angles and capture the moments that you may have missed during your big day. This allows the guests to be entertained and enjoy themselves too! Usually we will not be involved in the actual banquet. We will be delivering the cameras and let the cameras do the magic after ensuring that everything is in good order. 100% upon confirmation of orders. Our business started early 2016 and has been running on a good track records since. The most ideal for the client to contact us would be at least 3-4 weeks before the wedding event. 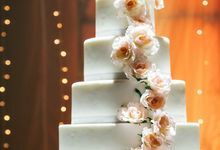 Our elegant cameras will allow your guests to have a unique experience in a wedding banquet. This will also allow your friends and family capture the your wedding from many other angles and moments that you may have missed. We charge by the number of cameras, depending on which package the client takes. 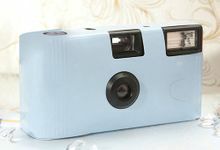 Customers shall make full payment to confirm the purchase of the package or cameras. The order is only confirmed upon receipt of the monies i.e. banking transaction reference or receipt. Our business started in 2016 and is on its way to blossom in this industry with our unique services. Yes Delivery and collection of the cameras are complimentary with orders of more than 10 cameras. 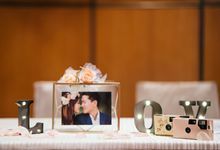 Place a single use camera on every table and invite your guests to be the unofficial photographers of your wedding. ​While your official photographers are focused on you, capture candid moments around your wedding with the single use camera! ​You can see your wedding through the eyes of your guests and from all angles, and ensuring that your guests are having fun at the same time! 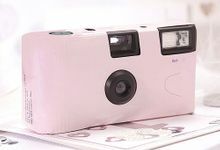 Relive the good old days of using film cameras and not knowing how the photos will turn out til the day they are developed.